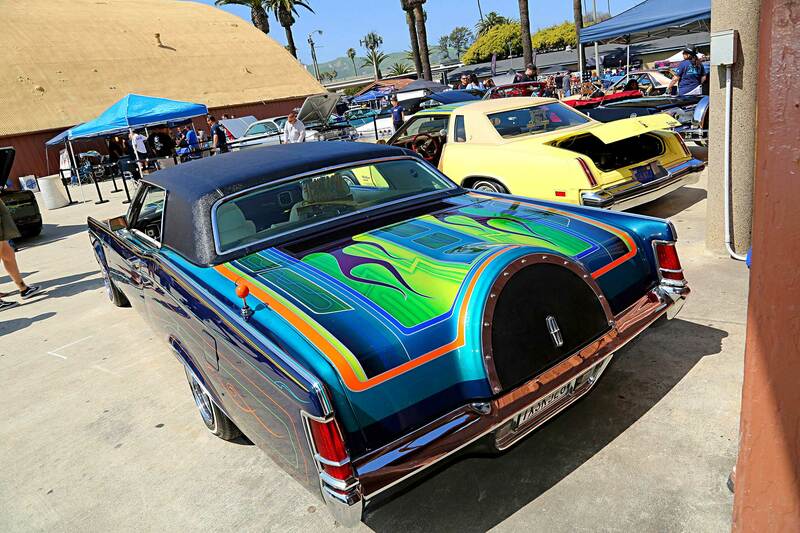 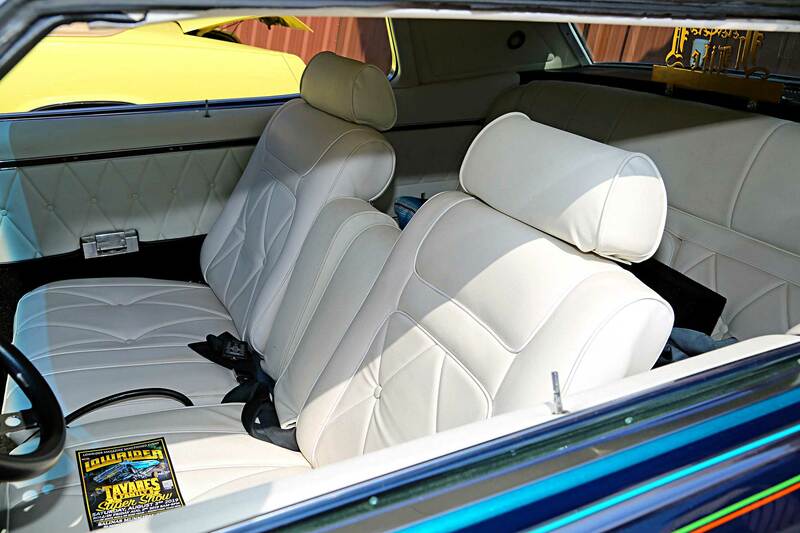 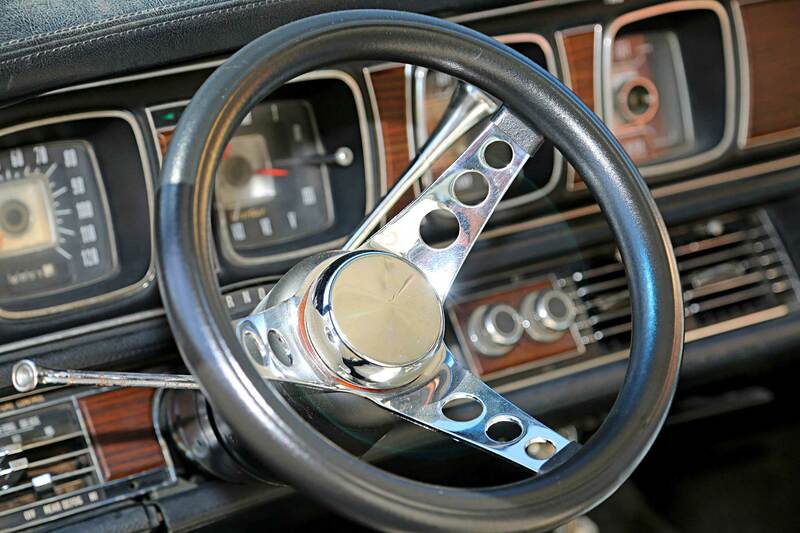 The 1969 Lincoln Continental is the first year of the Mark IIIs. 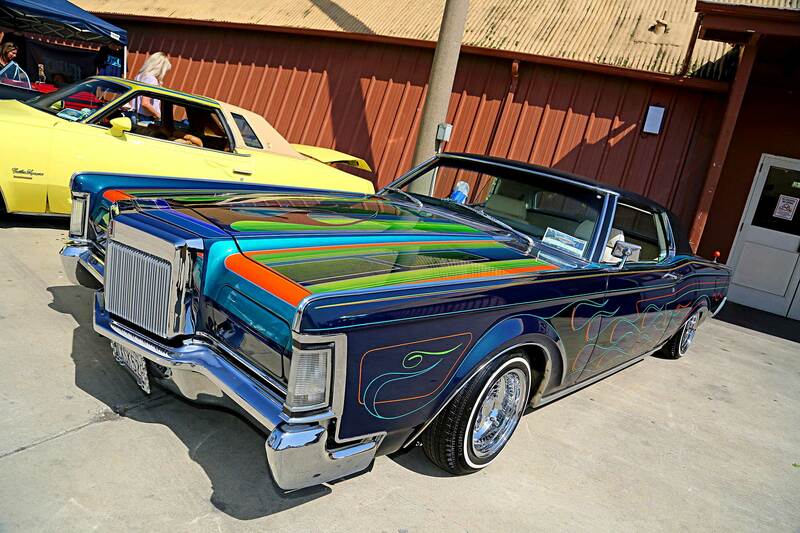 It was meant to be one of the top domestic luxury car models going head-to-head with Cadillac’s Eldorado. 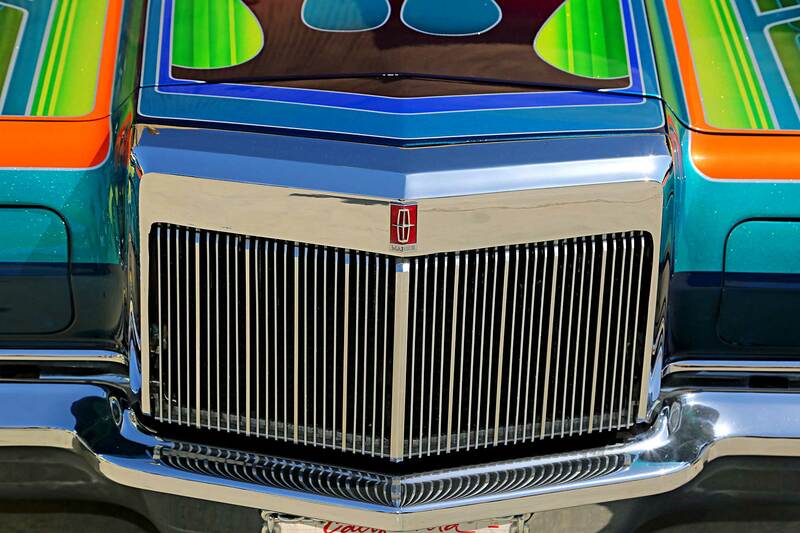 It came with hideaway headlights and a Rolls-Royce inspired grille. 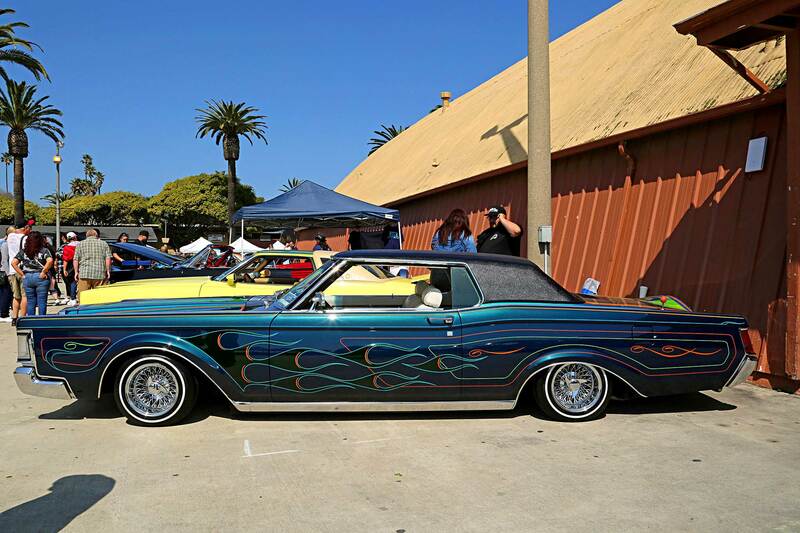 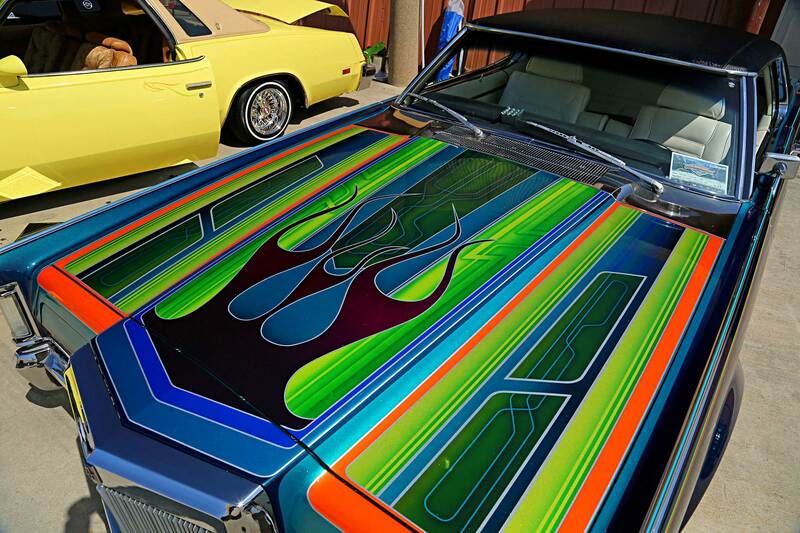 This one, owned by Sergio Orozco, features an aqua metallic paintjob with old-school tape shade patterns and flames on the hood and trunk. 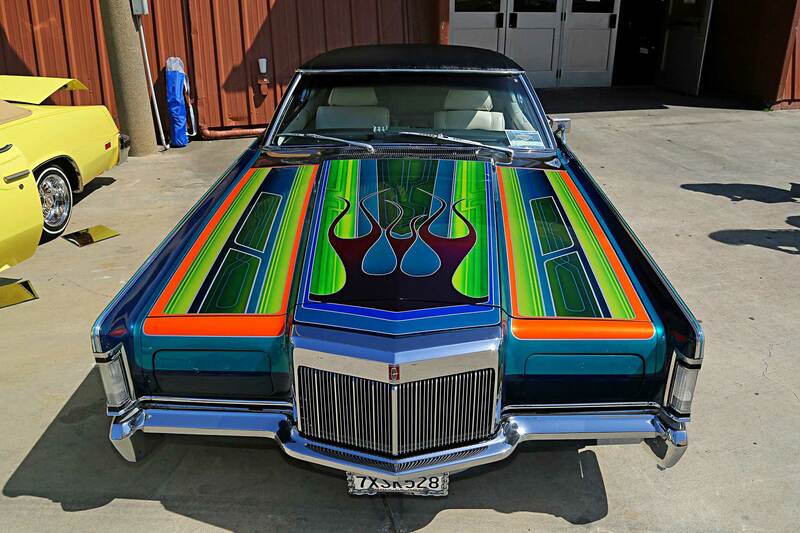 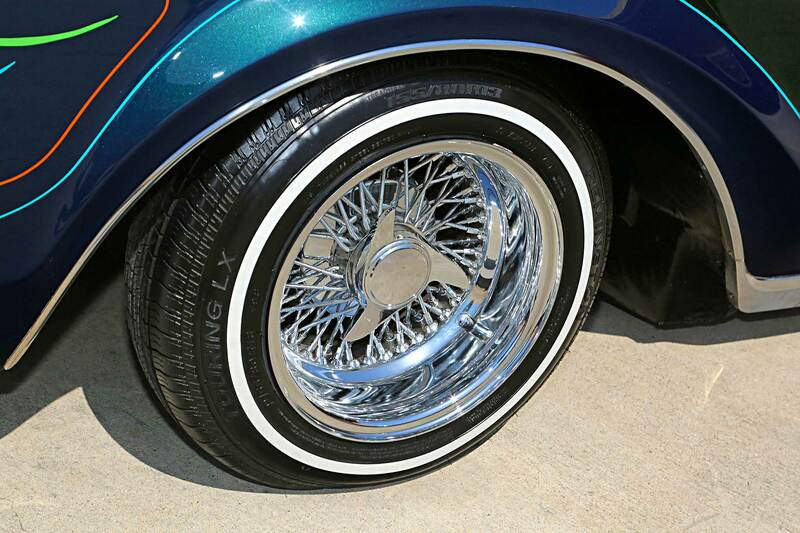 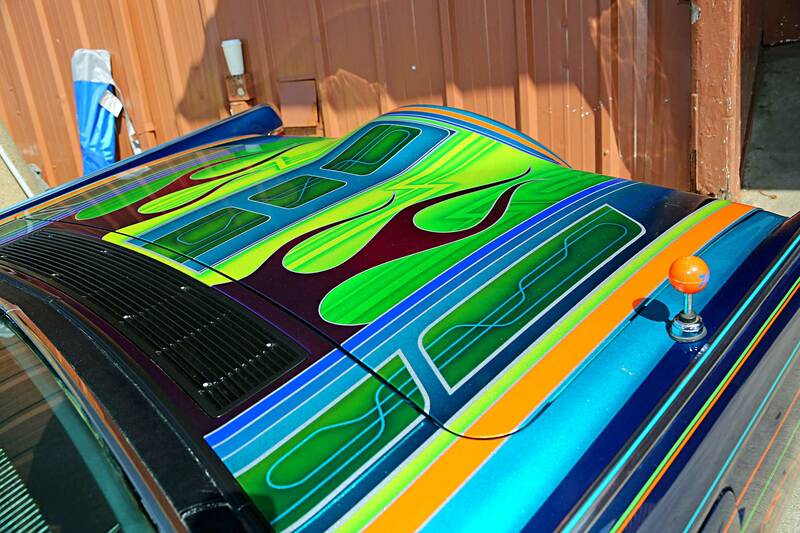 The sides have multicolor pinstriping that also features flames, and it sits on all chrome 13-inch wires.